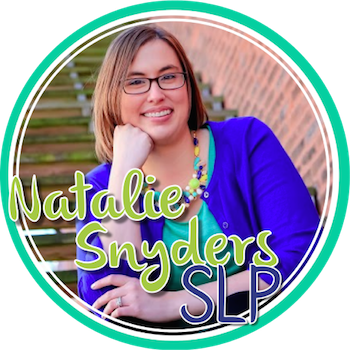 One thing I struggle with is finding materials for my upper elementary and middle school students that have age-appropriate graphics and topics, yet are at the level of my students. This is particularly difficult when it comes to holiday-related materials, such as for Halloween. I still want to be able to have a little fun with my older students around these holidays – just like I do with my younger students – but I don’t want them to be embarrassed or insulted by graphics that are too juvenile. 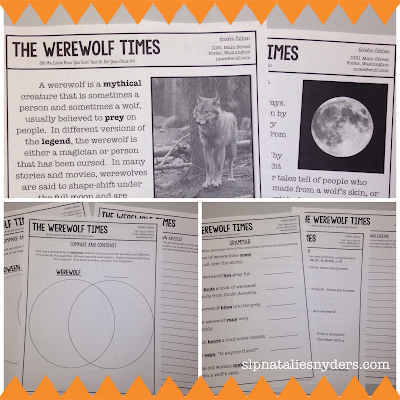 Last year, I created a quick unit on werewolves for my middle school language students, and they loved it! When I was thinking about my October plans this year, I remembered it from last year, and pulled it out (ok, found it on my flash drive!) 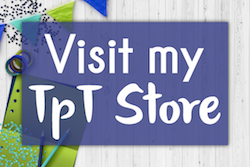 to update a bit and share with you! 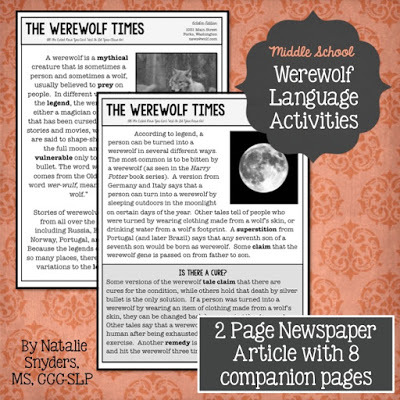 The basis of the unit is a two page “newspaper” that covers the legend of the werewolf. 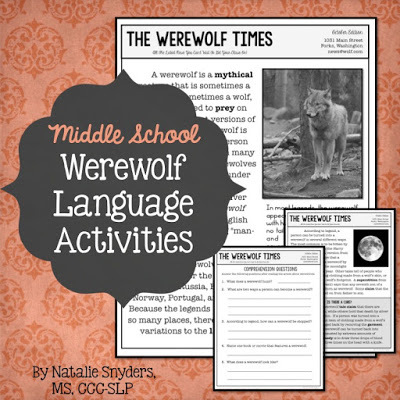 The accompanying worksheets target comprehension questions, vocabulary matching, describing, comparing, contrasting, conjunctions, and irregular past tense verbs. I have been able to use this unit with two or three sessions with my 5th through 8th grade students. 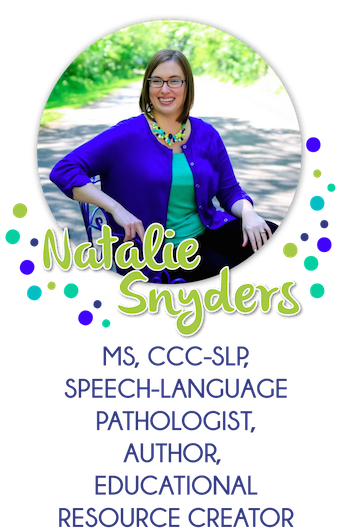 It has sparked some great discussions, and I love being able to sneak in some language skills while having fun! Is this something you might be able to use with your students? I plan to add similar short units for other holidays/seasons for this age level, too! « Another Quick Articulation Tip for the /r/ Sound! It can be a challenge to find materials that are at the right "level" without looking too young. I find myself covering the grade ranges on many books with tape so my middle school students won't notice. 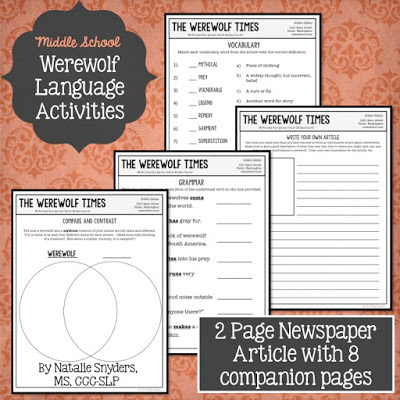 I love the werewolf times and am eagerly awaiting more products just like it!